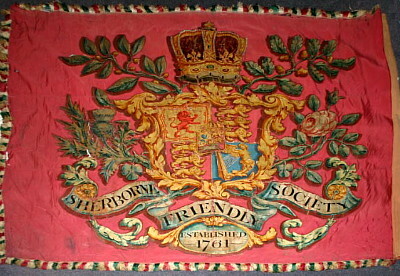 Become a "friend" of Sherborne Museum by becoming a member. Support through membership is really the life blood of the Museum. For a very reasonable yearly subscription (or you may consider giving more than the minimal amount) you are entitled to a copy of our twice-yearly newsletter, reduced admission to ticketed events, free admission to our Winter Talks and also an invitation to the annual AGM which includes cheese and wine and a private viewing of the new exhibitions. Whilst we always encourage the support of local independent retailers, there will be many who shop online from time to time. Easyfundraising.org.uk enables you to shop online with over 2,700 retailers and a percentage of what you spend is donated to Sherborne Museum at no additional cost to you. Just visit our page at easyfundraising and follow the simple steps to create an account. Gift Aid can be applied to your donations by completing the details in your account settings, and if you install the ‘Find & Remind’ toolbar when prompted you'll also get a little reminder every time a donation is available. We would be delighted to receive a donation from you via the Charities Aid Foundation website. You may make a donation using your credit or debit card, PayPal, CAF Charity Account or CAF Charitable Trust. Please click on the link. As a charity we are always grateful when donations (including subscriptions) are accompanied by a completed Gift Aid declaration. This enables us to reclaim 25p of tax on every £1 given. This is a great boost to our income. Donors, as well as being UK tax payers, must have paid or will pay an amount of Income Tax and/or Capital Gains Tax for each tax year (6 April to 5 April) that is at least equal to the amount of tax that all charities or Community Amateur Sports Clubs (CASCs) that they donate to will reclaim on their gifts for that tax year. Other taxes such as VAT and Council Tax do not qualify. It costs £35 each day to run the Museum. No-one wants to think about dying, but when you have remembered your loved ones in your will, please will you consider securing the heritage of our lovely town by leaving a gift to Sherborne Museum Association (Registered Charity No. 1176535). Any donation, large or small, could make a real difference to maintenance, conservation or special projects - or you may decide to leave a specific item or private collection, secure in the knowledge it will be cared for and appreciated by future generations. There are three main types of legacy: specific, a gift of a particular item as specified in your will; pecuniary, a gift of a specified amount of money and residuary, the remainder of your estate after any specific and pecuniary legacies have been made and all taxes, debts and bills have been paid. If you do choose to remember us in this way - THANK YOU.